In Topic: Any dangers with intensive meditation? MEDITATION IS TOUTED AS A CURE FOR MENTAL INSTABILITY BUT CAN IT ACTUALLY BE BAD FOR YOU? Aaron Alexis was looking for something. He started attending a Buddhist temple in Washington and learned to meditate; he hoped it would bring him wisdom and peace. "I want to be a Buddhist monk," he once told a friend from the temple. His friend advised him to keep studying, and Alexis did. He learned Thai and kept going to the temple – chanting, meditating. But other things got in the way. On 16 September 2013, Alexis drove into Washington's Navy Yard. It was 8am. He'd been working there not long before, and security let him in. 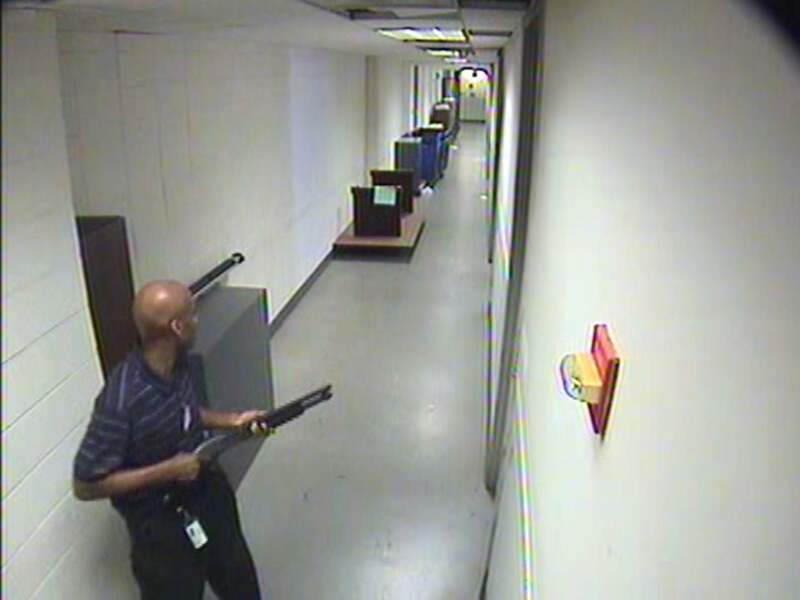 Minutes later, the security cameras caught him holding a shotgun, and by 9am, 12 people were dead. Alexis killed randomly, first using his shotgun and, after running out of ammunition, the handgun belonging to a guard he'd just killed. He died after an exchange of gunfire with the police. It took only 24 hours for a journalist to notice Alexis had been a Buddhist, prompting her to ask: "Can there be a less positive side to meditation?" Western Buddhists immediately reacted: "This man represented the Dharma teachings no more than 9/11 terrorists represented the teachings of Islam," wrote one. Others explained that Alexis had a history of mental illness. 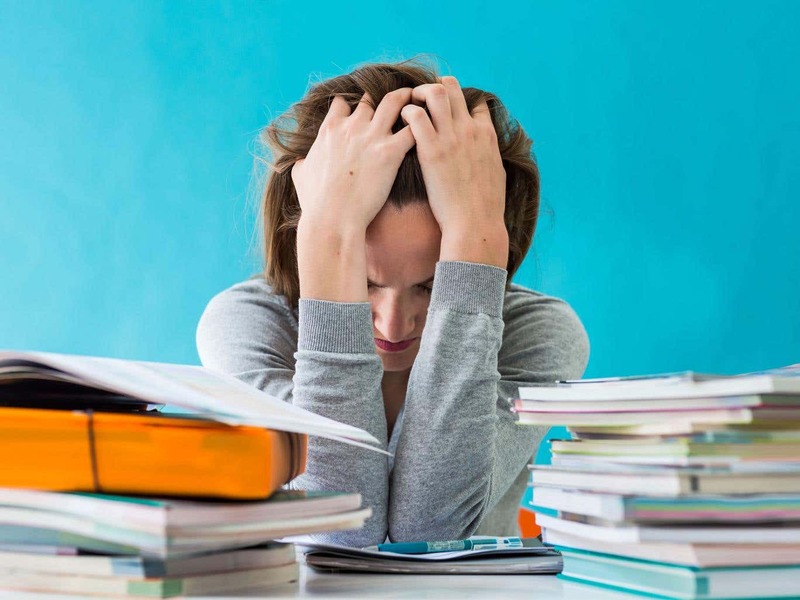 However, some noted that meditation, for all its de-stressing and self-development potential, can take you deeper into the recesses of your mind than you may have wished for. I'd come across the idea that, without the guidance of an expert, meditation can have adverse effects, but I'd thought this was a metaphor for the difficulties we might encounter as we venture into ourselves. Then, one day, I heard a first-hand account that opened my eyes. At the time, I was teaching a course on the psychology of spirituality, and the majority of students were in their late fifties and early sixties: a combination of retired lawyers, Anglican priests and psychiatrists, and three or four yoga and meditation teachers – of whom Louise was one. In her late fifties and lean, Louise was quiet and spoke only when she felt she had something important to say. She had taught yoga for more than 20 years, stopping only when something unexpected happened that changed her life, and she had chosen to give a presentation about this as part of her assessment on the course. During one meditation retreat, she said – she'd been on many – her sense of self changed dramatically. "Good," she thought initially, "it must be part of the dissolving experience." Still, she couldn't help feeling anxious. "Don't worry, just keep meditating and it will go away," her teacher told her. But it didn't. She couldn't get back to her usual self. It felt like something was messing with her sense of identity, how she felt in her body, the very way she looked at the world and at other people. The last day of the retreat was excruciating: her body shook, she cried and panicked. The following day, back at home, her body was numb and she didn't want to get out of bed. Louise's husband took her to the GP; within hours, she was being seen by a psychiatrist; and she spent the next 15 years being treated for psychotic depression. Now, she talked lucidly about her illness and its possible origins (including a genetic predisposition). She explained that she had gradually taken up yoga again, but had never returned to meditation retreats. "I had to have electroconvulsive therapy," she said. I was stunned – and more so when I looked through medical and psychological data bases to research the possible adverse effects of meditation. One paper, written in 2001 by a British psychiatrist, told of a 25-year-old woman who, like Louise, had a serious mental health problem following meditation retreats. The first time she was admitted to hospital her symptoms included "thought disorder with flight of ideas", elevated mood and grandiose delusions "including the belief that she had some special mission for the world… to offer 'undying, unconditional love' to everyone. She had no [critical] insight". This woman, called Miss X, was diagnosed with mania. After six weeks' medication, her symptoms were controlled. A psychiatrist saw her regularly for two years and she started twice-weekly psychotherapy. Then she took part in a Zen Buddhist retreat and was hospitalised again. She couldn't sleep for five days and displayed a number of unrestrained behaviours: she was irritable, sexually disinhibited and restless, made repeated praying gestures and attacked a member of staff. I looked further into the literature. In 1992, David Shapiro, a professor at UCLA Irvine, published an article about the effects of meditation retreats. After examining 27 people with different levels of meditation experience, he found 63 per cent of them had suffered at least one negative effect and seven per cent profoundly adverse effects. The negative effects included anxiety, panic, depression, pain, confusion and disorientation. But perhaps only the least experienced felt them – and might several days of meditation not overwhelm those who were relatively new to the practice? The answer was no. When Shapiro divided the larger group into those with lesser and greater experience, there were no differences: all had an equal number of adverse experiences. And an earlier study had arrived at a similar, but even more surprising conclusion: those with more experience also had considerably more adverse effects than the beginners. Amid the small pile of articles on the topic, I found two by Arnold Lazarus and Albert Ellis, co-founders of CBT. In 1976, Lazarus reported that a few of his own patients had had serious disturbances after meditating, and strongly criticised the idea that "meditation is for everyone". And Ellis shared his misgivings. He believed it could be used as a therapeutic tool, but not with everyone – and overall, that it could be used only in moderation as a "thought-distracting" or "relaxing" technique. "Like tranquilisers," he wrote, "it may have both good and bad effects – especially, the harmful result of encouraging people to look away from some of their central problems, and to refrain from actually disputing and surrendering their disturbance-creating beliefs." I felt like an archaeologist digging up long-forgotten artefacts. How could this be completely absent in the recent research? It was conceivable that clinicians and researchers simply did not report the negative consequences of meditation, but it was more likely that the meditators themselves did not talk about it: many who encounter difficulties during or after their practice may feel they're doing something wrong, or even that their distress is part of the process and will eventually pass. That was the case with Miss X, who eventually refused continuous treatment, explaining that her mania was just a release of blocked energy from years of not dealing with her emotions adequately. And many meditators thinking like Miss X could go towards explaining why negative reports didn't make it into journals – because the effects were seen as mere stones on the road to peace or spiritual attainment. "Nine years on and off of periods of deep depression, angst, anxiety and misery"; "there was a nausea that kept coming up, terrible sadness, aches and pain"; "I've had one pretty intense dark night, it lasted for nine months, included misery, despair, panic attacks… loneliness, auditory hallucinations, mild paranoia, treating my friends and family badly, long episodes of nostalgia and regret, and obsessive thoughts (usually about death)". Willoughby Britton, a neuroscientist and psychiatrist at Brown University, is now trying to map what she calls "the dark side of Dharma", an interest that arose from witnessing two people being hospitalised after intense meditation practice, together with her own experience after a retreat in which she felt an unimaginable terror. And reading through the classical Buddhist literature, she realised that such experiences are often mentioned as common stages of meditation. "I was woefully uninformed," she now admits. Meditation retreats easily lead people to sense the world differently: the hearing gets sharper; time moves more slowly. But the most radical change that can occur is in what Britton calls "the narrative of the self". Try this out: focus on the present moment, nothing else than the present moment. You may be able to do it easily for a very short time. However, if you try extending this "presentness" for one or two hours, and keep trying for some days, your usual sense of self – that which has one foot in the past and the other in the future – collapses. The practice may feel great for some, but for others it is like being tossed around a roller coaster. Other unpleasant things can happen, too, as Britton discovered through interviews with numerous individuals: arms flap, people twitch and have convulsions; others go through euphoria or depression, or report not feeling anything at all as their physical senses go numb. Still, unpleasant though they are, if these symptoms were confined to a retreat, there wouldn't be much to worry about – but they're not. Sometimes they linger, affecting work, child care and relationships. They can become a clinical health problem, which, on average, lasts for more than three years. 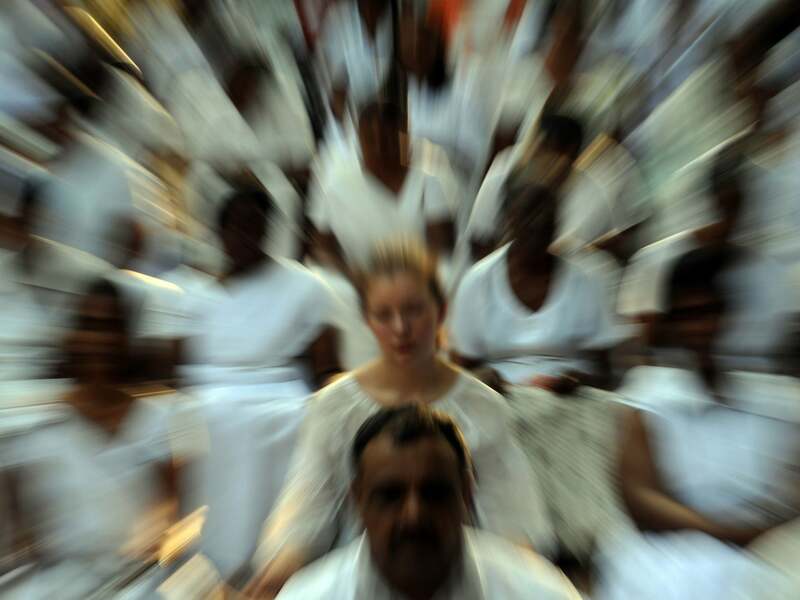 What's more, meditation teachers know about it – Britton says – but researchers are usually sceptical; they ask about the psychiatric history of meditators who develop mental illness, as if meditation itself had little or nothing to do with it. I used to think the same. But from the moment I started researching, I kept finding more and more evidence. Take the correspondence section on the website of the revered Deepak Chopra, where readers post their questions and Chopra answers. On 11 April 2014, an individual who had been meditating for one year – and finding in it "true bliss" – describes having twice experienced a deep emotional sensation, "like something is being ripped from me", that left her wanting to cry and yell. Chopra's reply is optimistic: "It's both normal and okay. It just means there is some deep emotional trauma from your past that is now ready to come to the surface and be healed. After meditation I would recommend you take a few minutes and sing out loud. "Find a song you love that resonates with the emotional tone of your pain. Listen to it at above normal volume so that you can really feel the sonic effect of the song and music. When you feel it has engaged your emotions, start to sing so that your voice translates your feelings into sound. If you do this every time you feel some unresolved residue of emotion after your meditation, it will facilitate the release and healing process." But what if someone like Aaron Alexis had emailed Deepak Chopra and received a reply like this? Would singing along to his favourite song, turned up nice and loud, have healed his emotional traumas and led into the wisdom he sought, rather than a killing spree? Unlikely. Furthermore, there is a real danger that what Chopra's correspondent was feeling is not "normal and okay", and that if she keeps meditating without an expert teacher, it may disturb rather than heal her. Despite its dark side and the limitations of the current scientific research, I still think meditation is a technique with real potential for personal change, if properly guided and taught within a larger spiritual-ethical framework. But I wanted to speak to someone who, coming from the West, had embraced the Eastern meditation tradition without denying its darker side – and I found that person in Swami Ambikananda, a South African woman living in England, who took religious Hindu vows and now teaches meditation and yoga in Reading. We sat in her living room and, when I told her I was looking into the potential dark side of meditation, she asked if I had heard of Aaron Alexis. "There is a new dogma about meditation: when it fails, its limitations are never questioned," she said. "We are told they weren't doing it right. But maybe neither the practice nor the person is wrong. The truth about our human condition is that no one thing works for everyone. The spiritual journey is about the unmasking of oneself, being more authentically 'self', and whatever path leads us there is grand for each of us. That particular path is not necessarily good for all of us – but since it has moved out of the monastic environment into the wider secular world, meditation is being sold as that which will not only make us feel better but will make us better people – more successful, stronger, convincing …"
So what about the researchers claiming that meditation per se can turn you into a better, more compassionate person? "No, no, no," she stressed. "Meditation needs to be embedded in its context; there are moral and emotional guidelines to be followed." Really? Isn't the whole purpose of meditating to make you an enlightened and deeply moral individual; moral in the sense of unselfish and compassionate? "Morality can be divorced from spirituality. My ego can dissolve while I meditate. But when I get up, it's reconstructed. You can meditate 22 hours a day, but in those two hours you have left, you're a human being living in matter, and this aspect of reality [she touched the ground] doesn't care too much if you're enlightened or not." After our talk, Ambikananda gave me a lift to the station. I thanked her for her time and asked again about Alexis. Did she think his killing spree had anything to do with meditation? "I don't know. I don't dispute that he had serious mental health problems; but meditation probably didn't help him either. Meditation is about looking into the abyss within. It wasn't created to make you or me happy, but to help us fight the illusions we have and find out who we truly are." According to Buddhist teaching, the self is an illusion. The religion preaches a fundamentally selfless worldview, encouraging followers to renounce individual desires and distance themselves from self-concern. To advance this perspective, millions of people around the world practice yoga and meditation. But a recently published psychological study directly contradicts that approach, finding that contemporary meditation and yoga practices can actually inflate your ego. There was already a fair bit of evidence supporting William Jamess theory, broadly speaking, but a team of researchers from University Mannheim in Germany decided to test it specifically in the context of yoga and meditation. They recruited yoga 93 students and, over a period of 15 weeks, regularly evaluated their sense of self-enhancement. They used several measures to do this. First, they assessed participants level of self-enhancement by asking how they compared to the average yoga student in their class. (Comparisons to the average is the standard way of measuring self-enhancement.) Second, they had participants complete an inventory that assesses narcissistic tendencies, which asked participants to rate how deeply phrases like I will be well-known for the good deeds I will have done applied to them. And finally, they administered a self-esteem scale asking participants whether statements like, At the moment, I have high self-esteem. When students were evaluated in the hour after their yoga class, they showed significantly higher self-enhancement, according to all three measures, than when they hadnt done yoga in the previous 24 hours. A second study of 162 people who practiced meditation, recruited through Facebook groups devoted to meditation, found that the practice had similar impacts on self-enhancement as yoga. In this study, participants were asked to evaluate themselves based on statements like, In comparison to the average participant of this study, I am free from bias. The study found that participants had higher self-enhancement in the hour following meditation, than when they hadnt meditated for 24 hours. Researchers also evaluated participants well-being using two measures, the satisfaction with life scale and the eudemonic well-being measure, which evaluates satisfaction with autonomy, environmental mastery, personal growth, positive relations with others, purpose in life, and self-acceptance. They found that well-being increased along with self-enhancement, suggesting that self-enhancement is linked with the increased sense of well-being that many get from meditation. These findings suggest that spiritual Buddhist practices like yoga and meditation may not do what proponents typically say they do, according to the study authors. Ego-quieting is a central element of yoga philosophy and Buddhism alike. That element, and its presumed implications, require serious rethinking, they write. Moreover, ego-quieting is often called upon to explain mind-body practices well-being benefits. In contrast, we observed that mind-body practices boost self-enhancement and this boostin turnelevates well-being. There is an alternative explanation, though. Its possible the study participants were doing meditation and yoga wrong. All of the participants were based in Germany, and various academics have theorized that western practitioners of Buddhism fail to practice with an eye towards the selflessness that should characterize the goals of these efforts. Though yoga and meditation were originally intended as ways to calm the ego, many non-Buddhist practitioners do these activities with an eye to self-improvement or calming personal anxieties. Meditation can indeed be narcissistic, notes Buddhist writer Lewis Richmond in The Huffington Post. 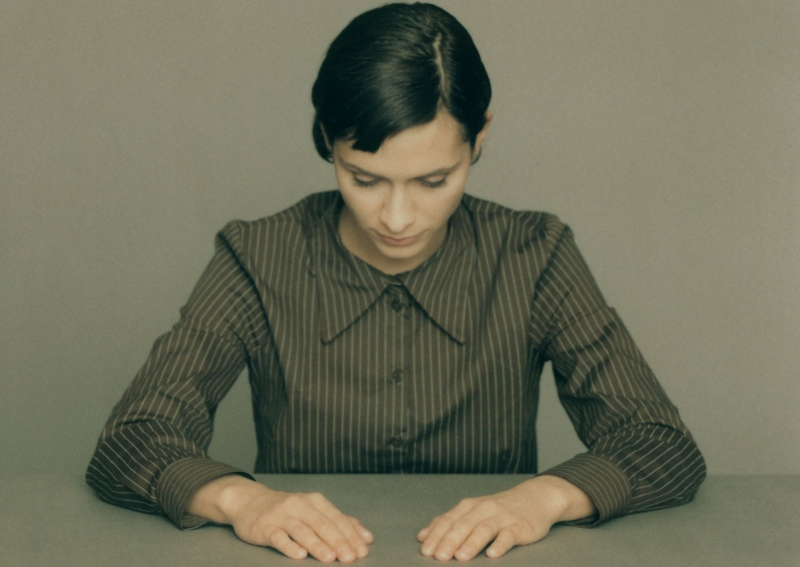 The act of sitting in silence, eyes closed or facing a wall, attention focused on the inner landscape of breath, body, and mental activity, could at least be characterized as self-absorbed, he says. Those who practice meditation with a self-centered perspective will likely become more self-interested, not less. The notion that yoga can feed rather than diminish the ego wont be surprising to those whove met holier-than-thou yoga devotees clad in designer athlesiure. But the psychological study didnt examine whether Buddhist teachings themselves influenced this ego boost. Yoga alone may not be enough to dissolve the ego, but one psychological study does not invalidate thousands of years of Buddhist teaching and practice. For our final print issue, Inquiring Mind invited Gil Fronsdal to write a short essay to jump-start discussions on practice and awakening, and to follow that with conversations with two young teachers he mentors, Nikki Mirghafori and Max Erdstein. 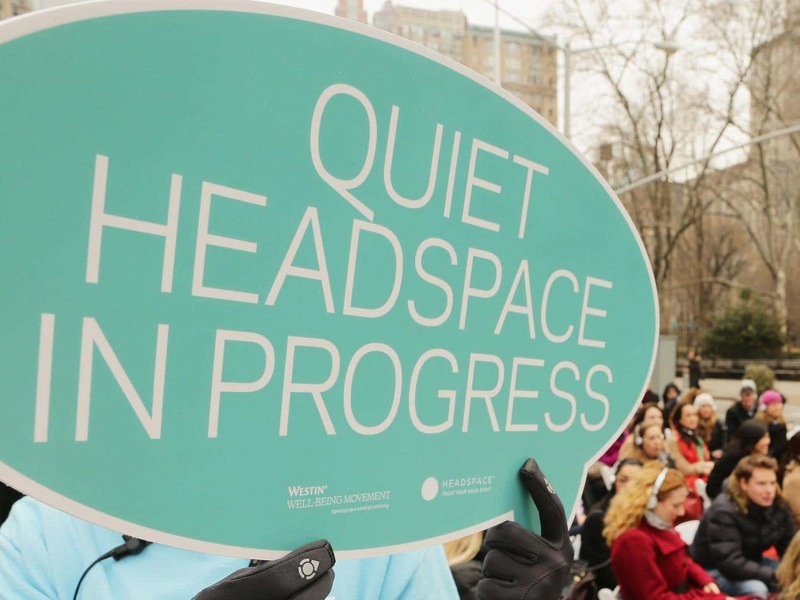 Surprisingly, the day came when I had to give up mindfulness. While this giving up was temporary, it proved to be a necessary step in my path toward liberation. To show how this was the case, I will explain a bit of my history with Buddhist practice. Before practicing mindfulness in Theravada Buddhism, I spent years practicing Zen. I remain very grateful for my early years of Zen training. It was a remarkable training in being present for life. First, I learned a lot about how I was not present. As I learned to be more attentive to my present-moment experience, I then learned a lot about how I reacted for and against this experience. Slowly I learned to be present without any observable reactivity. I understood this nonreactivity as a practice of unconditional acceptance in which experiences were allowed to exist in an open awareness. In the course of this Zen training I had a range of meaningful experiences. I not only came to understand something of the interconnected aspect of our life and world, I also had insights where this was seen in vivid and awe-inspiring clarity. Other times my experience could not be described in the usual subject-object perspective; refreshingly, I was not aware of any sense of self in the very intimate flow of experience. I came to value the Zen approach that everything was practice, i.e., that everything that was happening was something to offer my full presence to. But I noticed some of my fellow Zen practitioners ideas about Zen practice were different from mine. In particular, some students believed that there was one thing we were not supposed to be present for, either because it did not exist or because it was second best or somehow wrong to experience. Unacceptable was any experience or transformation that could be labeled enlightenment. Some Zen friends had the attitude that the only thing to do with a so-called enlightenment experience was to let it go and preferably forget all about it as we moved into the next moment with full awareness. Others believed there was no such thing as enlightenment as a clear and dramatic transformative experience. Or if there was enlightenment, it was not the radical, life-altering experience some people reported. Rather it was any moment in the course of ordinary life when there was no subject-object distinction or there was some meaningful level of acceptance and peace. While I did not know what enlightenment might be, I was confused by ideas that seemed to belittle or dismiss it. I was even more confused knowing how important enlightenment was for the Buddha and for much of Buddhism. After my Zen training, I engaged in intensive vipassana training in Burma. The mindfulness practice I was taught helped me to see that the acceptance I had experienced through Zen was not as thorough an acceptance as I had believed. Through careful and sustained mindfulness I saw an array of subtlealmost undergroundthoughts and intentions that were not accepting. For example, I was sometimes able to sit with open acceptance of my anger. However, when I looked carefully I saw that the anger itself was a symptom of some non-acceptance. Or I saw in the gaps of my thinking that there were underlying, hidden feelings of fear, striving or self-referencing. My mind had to be very still to see the subtle operation of greed, hate and delusion as well as to sense the agitation and constriction they caused. As my mind became more still and quiet, I became aware that it seemed to have a natural inclination to let go of the increasingly subtle agitation that remained. From the perspective of a relaxed mind in ordinary life, the mind was very serene. Even so, similar to the way a very still lake highlights the slightest ripple, so deep meditation revealed the slightest movements of mind. And similar to the way water will flow downhill if unimpeded, so I found an almost inherent momentum for the mind to move toward stillness, to let go of even the smallest agitation. As I allowed for this slide into greater stillness, I discovered that many of my cherished ideas and meditation experiences involved movements of the mind. Feelings of oneness, interconnectedness, compassion, bliss and no-self all involved very subtle movements of mind that interfered with greater stillness. I also learned that, at times, any effort to practice was more mental movement. I was fine with letting go of effortI had come to value effortlessness in my Zen practice. But I was not prepared to let go of mindfulness. Mindfulness seemed like the core of the practice. But when I understood that mindfulness was itself an activity of the mind, I could feel a desire to allow this activity to also become still. Because I trusted the movement toward greater and greater peace, while in deepening states of very satisfying stillness I would let go of mindfulness; that is, the knowing functioning of the mind. Sometimes all that seemed to remain was awareness aware of itself. Classic Buddhist teachings describe what I am calling movements of mind as mental activities or mental constructions. As I continued my practice, I heeded an intuition to let go of mental activities. At some point, when the mind was very quiet, I was surprised to see that everything that I could identify as a mental activity or mental construction ceased completely. Of course there was no seeing, as all inner and outer perception ceased as well. Even awareness disappeared. While this might seem to be a kind of death or a nothing that has no value, I found the experience to be life changing. It was more beautiful and satisfying than anything I had ever experienced before. More important, I felt changed. Now I have a connection to a dimension of mind or of awareness that is unconstructed, with no movement or agitation in it. It is somewhat like remaining aware of a peaceful silence while simultaneously hearing the ring of a bell. The sense of the unconstructed became very important because it highlighted how everything else is constructed. Any understanding or sense of self is a construction of the mindit has its role in life but it has no inherent existence. Any understanding of the world or even of Buddhist practice is a construct of the mind. Paradoxically, for practitioners, Buddhist teachings are constructs of mind that point beyond themselves. While I do not know whether any of my deep meditation experiences qualify as enlightenment, they have inspired me to appreciate and respect the possibility of enlightenment as a radical and thoroughgoing freedom. I now know that the Buddhas teaching that Nothing whatsoever is worth clinging to doesnt entail a loss or a diminishing of anything other than greed, hate and delusion. Nothing whatsoever is worth clinging to points to the radiance of liberation, far beyond the practice of mindfulness. Longtime Inquiring Mind friend and board member Gil Fronsdal is the primary teacher for the Insight Meditation Center in Redwood City, California, and is on Spirit Rock Meditation Centers Teachers Council as well as the SF Zen Center Elders Council. He was a Theravada monk in Burma in 1985, but before that, he ordained as a Soto Zen priest. © Copyright 1984-2018. All rights reserved.